The challenge for marketers thus far has been in translating engagement on Instagram into hard-earned dollars. When you look at the full spectrum of social channels, shopping apps, and digital sites that consumers engage with today, Instagram has continued to prove that it is a rising star. According to GlobalWebIndex, it is among the top three fastest-growing social platforms going into 2015. And when it comes to brand engagement, Instagram delivers. Forrester reported just last year that the image-sharing app produced more engagement with brand-owned content than any other social platform. Of the brands surveyed, Instagram posts generated 58x more engagement per follower than Facebook and 120x more than Twitter. The picture is clear. 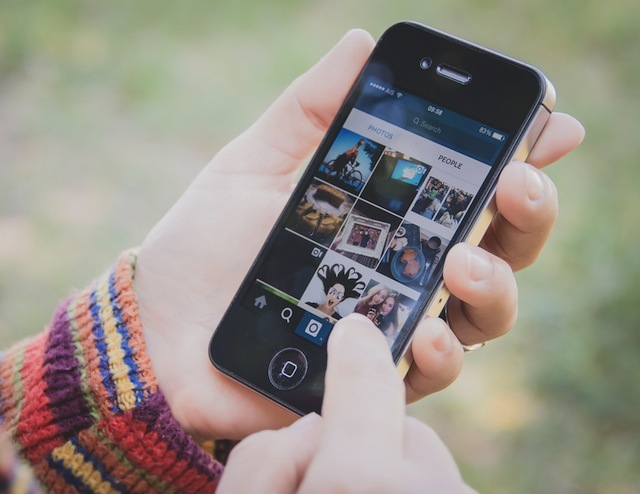 If content is king, Instagram is a thriving kingdom. The challenge for marketers thus far has been in translating engagement on Instagram into hard-earned dollars. It’s a bit of a conundrum. Anecdotally, many brands have seen success. Instagram images garner tons of likes and positive comments; declarations of excitement (“so awesome!”), curiosity (“where can I get this?”) and even intent (“I have to have this!”) are not uncommon. Yet while the shopper of today wants to take action on the inspirational images they see, many marketers are still striving for a way to turn short-lived Instagram images into instant revenue drivers. So, I’m here to tell you how. When presenting your products on Instagram, you can’t just sell. You have to inspire! Something about Instagram’s ability to encapsulate emotion has changed the very way consumers perceive branded images. Historically, marketers would optimize their product photos for accuracy. (Think: a detailed sneaker—or any other product, for that matter—against a white background.) That’s frequently not the case on Instagram, where it’s not “the product” but rather “the experience” that’s central. International cosmetics retailer Sigma Beauty knows this well. They say their fans are 5x more likely to click on an image or convert when they see makeup on a person as opposed to an image of the physical product in someone’s hand. As a result, Sigma now emphasizes this style of image on Instagram. The channel is now the fourth highest referral source to sigmabeauty.com, behind only email, organic search, and direct traffic. That’s the Instagram difference. To engage the present-day consumer, you have to inspire in order to sell. So, rather than push products, help to portray how your products can be used. At the same time, it’s worth noting that certain image attributes tend to pop more than others. For instance, Curalate found that when an Instagram image is featured within the ecommerce environment, the filters Valencia, Rise and X-Pro II tend to deliver the highest revenue per impression. Indeed, there may be dollars in these sorts of details, but ultimately, you have to find what works for your business. Instagram isn’t just driving discovery; the aspirational nature of Instagram is driving desire, and that desire drives sales. To capitalize on this behavior, forward thinking marketers are making it effortless for Instagram users to take action on their images. This can be done in a number of ways. For example, with the recent addition of the clickable ad unit, brands with sizable media budgets are increasingly experimenting with Instagram ads. In addition, third-party tools are enabling brands to generate traffic from Instagram to products on an ongoing (as opposed to campaign-oriented) basis. As a result, there are now clear opportunities for brands to deliver not only social engagement but also traffic and revenue. Sharing inspirational imagery consistently, while at the same time making it easy for Instagram fans to take action on that content, is key for brands that are prioritizing Instagram as a revenue channel. It’s a powerful combination; consumers who click through from Instagram to product pages are frequently more engaged than other mobile users.